Here in the shiny city of Clermont, Florida, it’s almost time for summer and that means its time to break out your best swimsuit and plan a trip to the beach. But, before you head to the sandy shores to carve some waves, it’s a great time to soak up some sun with a good old-fashioned car wash! Summer time means hotter temperatures and more intense sun rays and that can do a number on your car if left unchecked with dirt and grime on the paint. 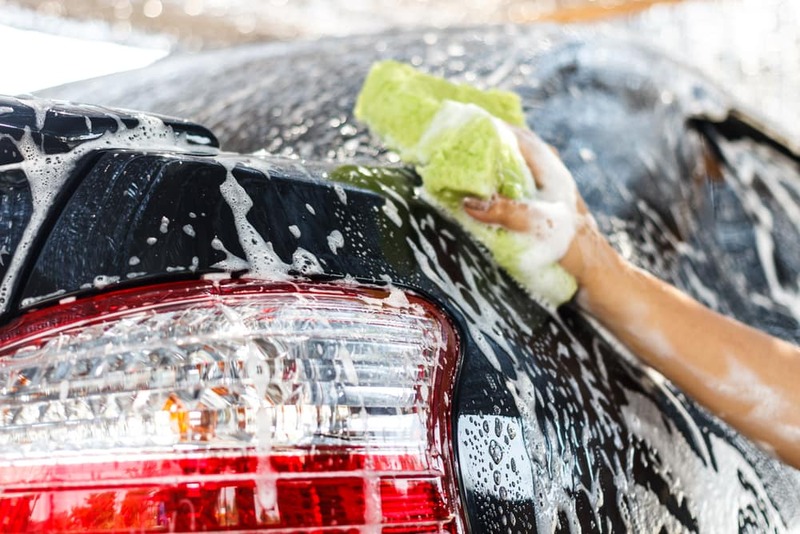 If you’re unsure how to put that bucket and sponge set to good use, check out this guide from us at Toyota of Clermont and optimize your car wash! We know you’re excited to bust out the hose, the buckets, and the sponges, but you need to evaluate your vehicle’s level of dirt and what kind of wash you’re going to need. Not every car wash requires an arsenal of sponges and powerful scrubbing. Depending on how dirty your Clermont Toyota vehicle is, you could just need a simple waxing or the works. With a bucket full of car wash products, it can get confusing figuring out exactly what these products all do. Make sure you read the labels before using any of the products at your disposal to ensure that you don’t cause damage to your car. Traditionally, using one bucket during your car wash seemed like a good idea. But, when you think about it, if you’re rinsing your sponge and getting soap out of the same bucket, are you really getting a clean wash for your Clermont Toyota car? By using an additional bucket or two during the wash, you can use one specifically for rinsing and keep your sponges and water clean. Do you put water on your tooth brush before brushing your teeth? If so, rinsing your car before washing is a lot like that. Giving your vehicle a good rinse before the rest of your car wash will help loosen up dirt and grime before taking a sponge to the paint. The dirt on your Clermont Toyota vehicle can hide a lot, including blemishes and damage that you didn’t know was there. Make sure to look for these problem spots after your car wash. Your car’s windows are your only way to see into the outside world and they need to be cleaned to ensure a perfect view. To wash your windows, use an auto glass cleaner that isn’t ammonia based. Having a clean vehicle with dirty wheels just looks silly and breaks the clean look. Make sure you pay special attention to the wheels and tires during the wash. Use a sponge that can get into the nooks and crannies of your rims and use a tire shine to give your tires a youthful look. Need more car wash tips or a wash from our auto service experts? Come visit Toyota of Clermont today! We’re located at 16851 State Road 50 and open seven days a week.